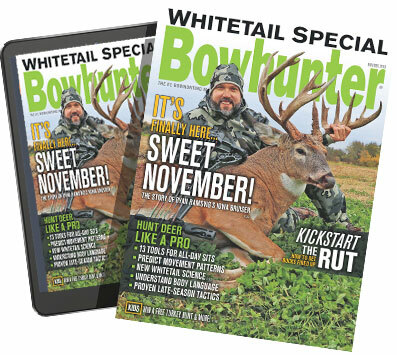 Whitetail hunting can be a year-round endeavor, and for many of us, is. While this time of year is dedicated largely to scouring bedding areas and food sources for shed antlers, there’s plenty of other work to be done. Winter scouting is a big one, of course. This is true no matter where you hunt, but a necessity if you want to get serious about killing big deer on public dirt. There is a direct correlation to miles walked now and arrows launched in the fall that can’t be denied. For the private land bowhunter, winter scouting is also time well-spent. You can combine those days with pulling last season’s treestands, cutting a few new shooting lanes, and simply putting in the initial stages of the sweat equity required in the off-season. To accomplish this, and any other whitetail work necessary, you’ll want to outfit yourself with the right gear so you can truly cover adequate ground and be comfortable doing it. Following are seven options worth considering. Normally I wouldn’t recommend a knee-high for shed hunting or winter scouting, but the Alphaburly Pros don’t fit like typical rubber boots. They are designed in such a way that I’ve started to leave my leather boots at home more and more and just wear the AB Pros. I did this last fall on multiple public-land deer hunts, and even during some late-season pheasant excursions in the cattails following around a hard-charging bird dog for eight hours a day. 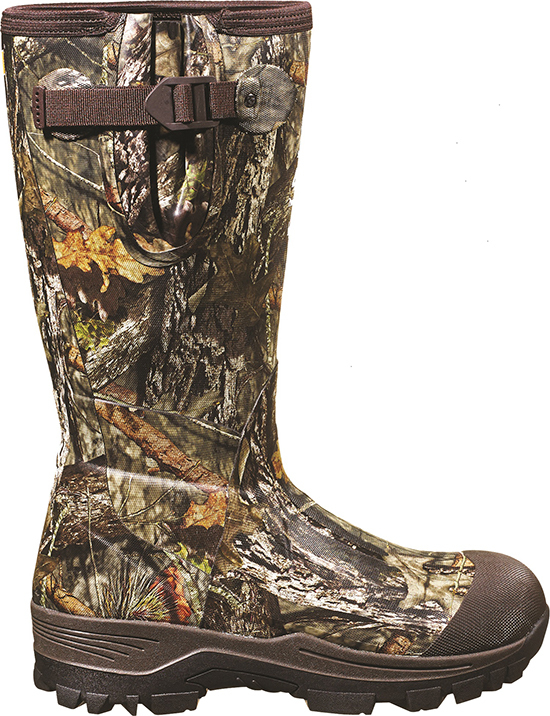 Alphaburly Pros are comfortable, built-to-last, and offer the added bonus of being 100-percent waterproof, which means you can stay comfortable while wading through spring runoff and searching for next season’s stand sites. I don’t always wear knee-highs during spring whitetail work because some days and duties are more suited to leathers like Danner’s fifth-generation Pronghorns. I’ve worn Pronghorns in environments ranging from elk mountains to cranberry bogs, and they have never let me down. The latest version of these classic boots is waterproof yet breathable and available in three insulation options. They are also built with the Bi-Fit stability board, which provides underfoot comfort, reduces the overall weight of the Pronghorns, and allows for extra forefoot flex. In other words, they feel more like a high-end running shoe than a hunting boot. 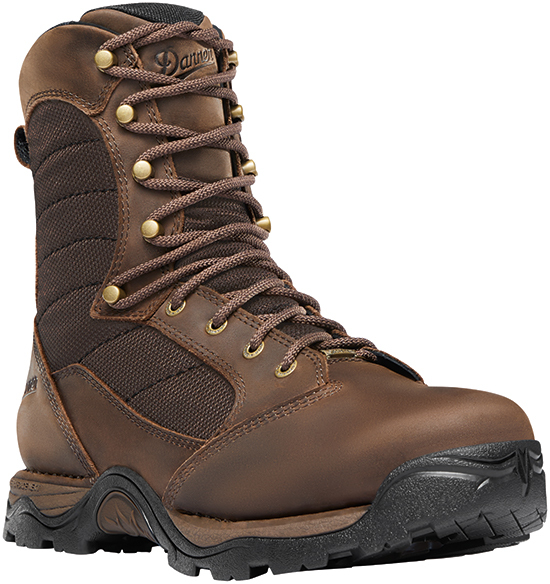 Anyone looking for a good walk-around-all-day boot should consider Irish Setter’s latest. 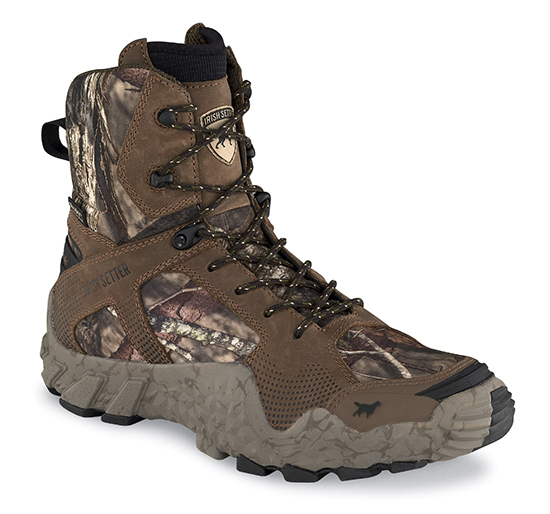 Their VaprTreks, which are available in 5- and 8-inch options, are 40 percent lighter than traditional Irish Setter hunting boots. Choose from a litany of non-insulated and insulated options with several available in Realtree Edge or Mossy Oak Break-Up Country camouflage. 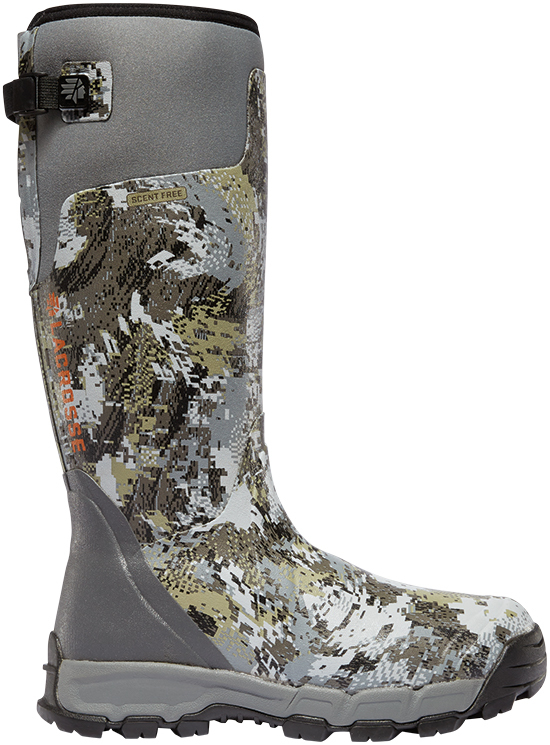 For women bowhunters looking to gain an edge on the upcoming season, VaprTreks are offered in an 8-inch boot with 400g PrimaLoft insulation. If you’re looking for some knock-around knee-highs that won’t break the bank, the Swamptrackers from Field & Stream are a good choice. They are obviously waterproof but also designed to be lightweight and truly comfortable, thanks to the EVA sockliner. They also feature a rugged outsole and midsole to provide extra traction, which is not always the case with knee-highs and always appreciated when you’re slogging across muddy landscapes looking for sheds or pulling stands. Now that I don’t drink any more, the best chance I’ve got of finding myself lured into an intervention will probably involve Sitka Gear. I can’t help it – their clothing is so comfortable and functional. If you splurge on one piece in their lineup to see if I’m full of it or not, buy the Back Forty Pant. They are ideal for shed hunting, winter scouting, summer fishing, and just about anything you plan to do outdoors. The fabric is this stretchy-ish material that weighs nothing and dries in a matter of a few minutes if you get it wet. 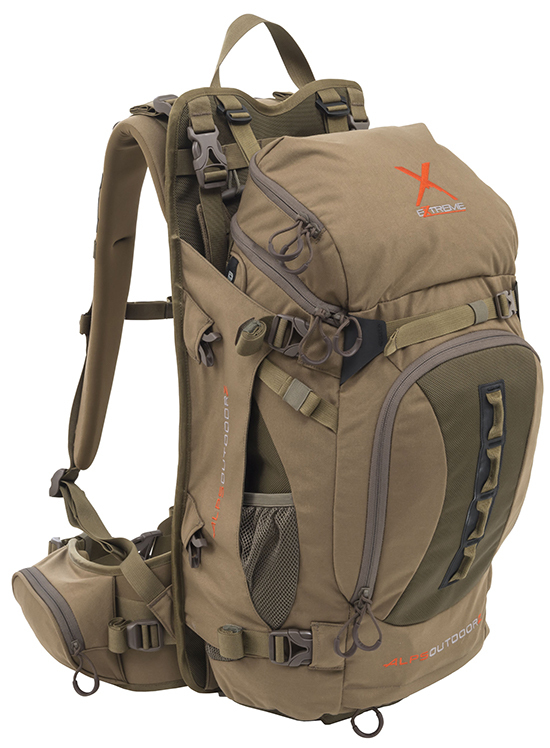 This pack is overkill for the average hike in the deer woods, but hear me out. I’m a firm believer in going big with my packs for whitetails, and medium-sized for my western packs. That means a 2,750-cubic-inch pack like the Hybrid X from ALPS is perfect. This pack/frame combo is designed in such a way that you could carry elk quarters in it, but it also feels like a daypack when you strap it on. If you’re going to travel west ever, or do all-day sits during the rut, adequate pack space is a necessity, just as getting used to your pack is as well. 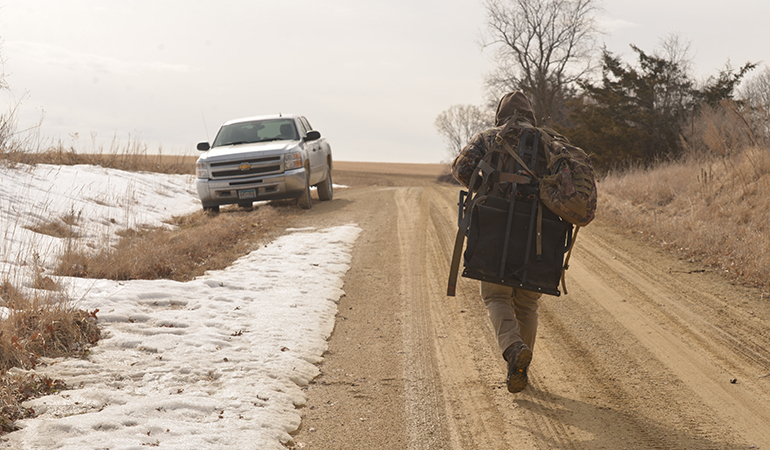 Pick up a Hybrid X for all of your outdoor endeavor, and break that sucker in now by using it to haul your stands out of the woods – or maybe all of those matching Booner sets you’re likely to find this spring. When it comes to safety harnesses, the more manufacturers reduce bulk and weight, the more I like them. 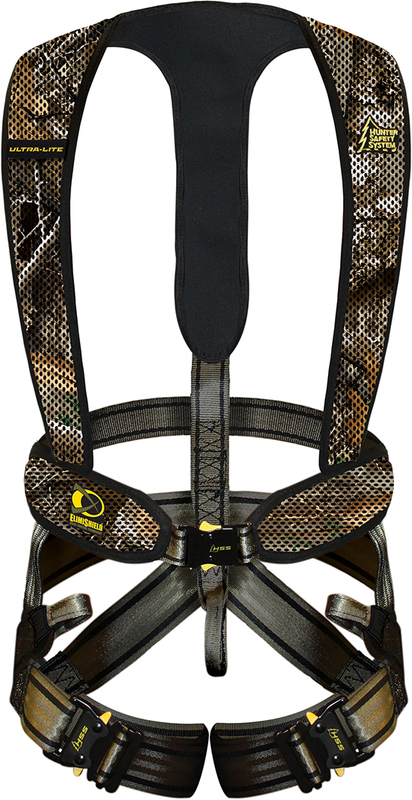 The leader in the pack for this trend is, of course, Hunter Safety System. Their new Ultra-Lite weighs only 2.9 pounds and is designed with ElimiShield Scent Control Technology, so no matter how much you sweat in it throughout the year, it won’t become a source of no-good stinkiness. If you’re going to hit the woods in an effort to pull all of last year’s stands (you should), carrying an Ultra-Lite is the way to go.